I never really got into the original "Predator" from 1987. I rented it to see future governors Arnold Schwarzenegger and Jesse Ventura together, and essentially tuned out once Ventura was eliminated after very little communication with Schwarzenegger (see "The Running Man", also from 1987, if you want to see the two interact in a meaningful way i.e., fight to the death). But I did retain that the Predator is a space alien that hunts humans for sport and has dreadlocks for some reason. Thirty years, a couple battles with the "Alien", and a few reboots later, and we're getting "The Predator", an attempt to revive a "legendary" movie monster that I never found all that interesting. Boyd Holbrook stars as Quinn McKenna, an Army Ranger who attempts a daring rescue mission in Mexico that goes awry when a Predator ship coincidentally arrives and kills everybody but him. McKenna knocks out the Predator on board, steals some of its equipment, and mails it to his autistic son Rory (Jacob Trembley). 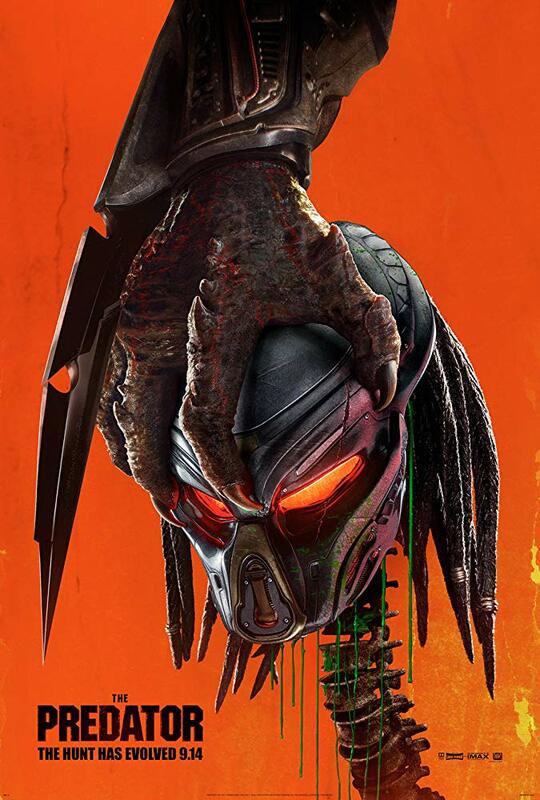 The prone Predator is captured by government agents led by extraterrestrial enthusiast Traeger (Sterling K. Brown), who takes it to a facility to be studied by renowned scientist Casey Bracket (Olivia Munn, in one of those roles where it's hard to buy the eye candy actress as a nerd). Traeger also brings in McKenna to find out what he knows, and then has him committed to a mental hospital because he knows too much. It would probably be easier to just kill McKenna, but then the movie wouldn't have an excuse to put the soldier on a bus with other loonies. Yes, McKenna is interred on an asylum-bound bus with an array of colorful characters. There's suicidal leader Nebraska (Trevante Rhodes), British sniper Lynch (Alfie Allen), vulgar wisecracker Coyle (Keegan-Michael Key), Tourette's sufferer Baxley (Thomas Jane), and Jesus disciple Nettles (Augusto Aguilera). Once the group determines that McKenna is not, in fact, the craziest one of all for his claims of tangling with a space alien, they break out together and try to save the world from the Predator, who naturally has also escaped. As if the stakes weren't high enough, the Predator wants its armor back, which means that its primary target is Rory. There's a stretch around the middle of the film where it looks like the unsolicited update is actually pulling things off. The jokes are funny, the actors have good chemistry, the action is exciting and creative. It's nothing terribly intelligent or memorable, but it's enjoyable enough on a lowbrow level. Then we get into the latter part of the movie and it's just another unexceptional action movie - kind of like how I feel about the original "Predator" once it's only Arnold left. The action at this point is just a cluster of gunfire, explosions, metal whooshing, and slurping sounds, all while it's so dark and choppy (in more ways than one) that I have to take the movie's word for it that two characters got killed because I completely missed their exits. There's potential at the very end with a fight on the head Predator's ship (not "in" the ship, "on" the ship), but this sequence is done in by its quickness and an unconvincing CGI force field. "The Predator" was never meant to be a creative or commercial juggernaut. 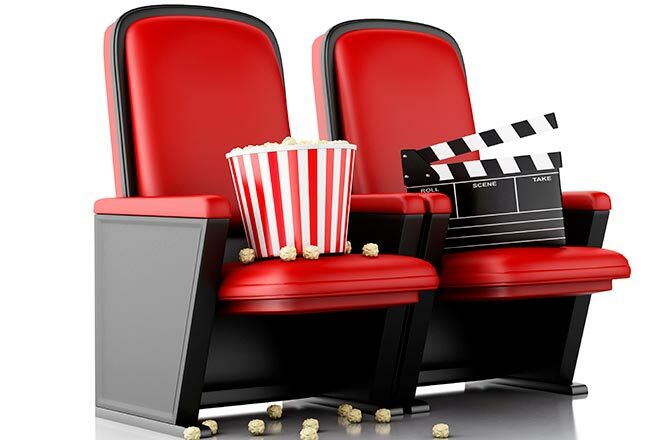 Its box office strategy was to open on a nothing weekend in September, spend a week or two making a moderate amount of money, and then fade away. It had similar middling goals in terms of respectability: get original writer Shane Black to come up with some snappy dialogue to get people to laugh and keep it off the year's Worst lists, but with no need to really invigorate the property. We learn in this film that the Predator has come to Earth because humanity doesn't have much time left. If you really want to see "The Predator", see it soon, because it's a forgettable movie and it doesn't have much time left. "The Predator" is rated R for strong bloody violence, language throughout, and crude sexual references. Its running time is 107 minutes.